Innovative travel information company in Vietnam, AloTrip International Ltd (http://www.alotrip.com/), today launches menu Plan for Vietnam travel (http://www.alotrip.com/plan-vietnam) which helps foreign tourists have the best preparation before any trips to Vietnam. "When in Rome do as the Romans do". A trip requires careful planning. Preparing for a trip to Vietnam is key to making your visit to this interesting country as safe and pleasurable as possible. Whether travelling interstate or travelling overseas, there's a lot to think about before you set off on your adventure. Travel tips and handy checklists in this menu Plan help tourists check off important items before you travel. This menu is also useful for any expats who are about to live in Vietnam contemporarily or permanently. All information of living environment, cost of living, accommodation… in Vietnam is available there. You are finding an expat job or a study course or event seeking a chance of investment in Vietnam? Menu Plan offers overview of kinds of jobs, prestigious institutions and investment situation in Vietnam for you. We offer a unique range of flights, accommodation, tours and expeditions around Vietnam. 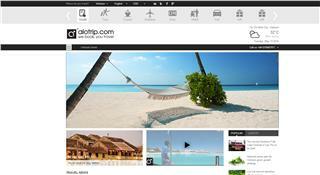 The AloTrip team has extensive travel experience and training. We own experts who understand where tourists want to go, how to get them there and the priceless experiences they want to have.